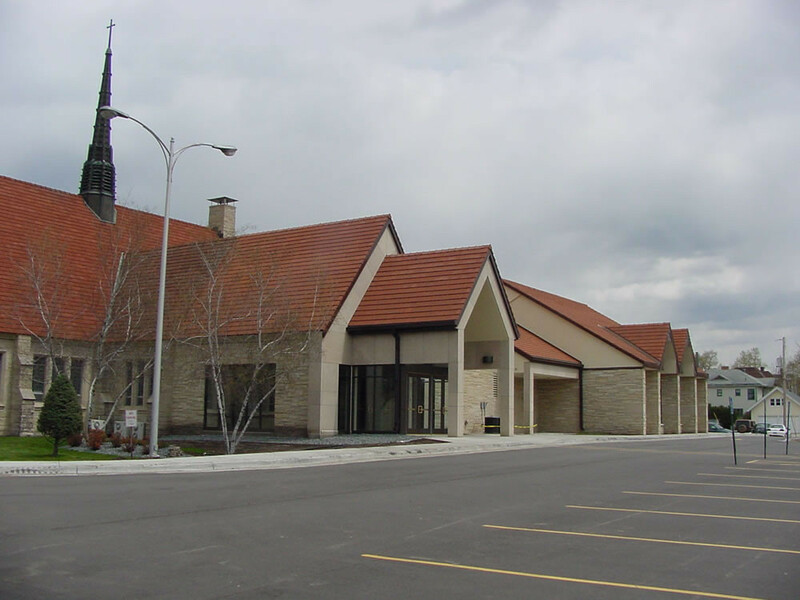 Central Lutheran Church | Karkela Construction, Inc. This new addition by the CVI family of companies provided much needed fellowship space at the first floor, a new entry and narthex, existing classrooms remodeled into office space and nursery, and a kitchen adjacent to the new fellowship hall. The design of the addition and renovated portions of the existing building provided handicapped accessibility. The lower level of the addition and remodeling of the existing lower level added several classrooms. 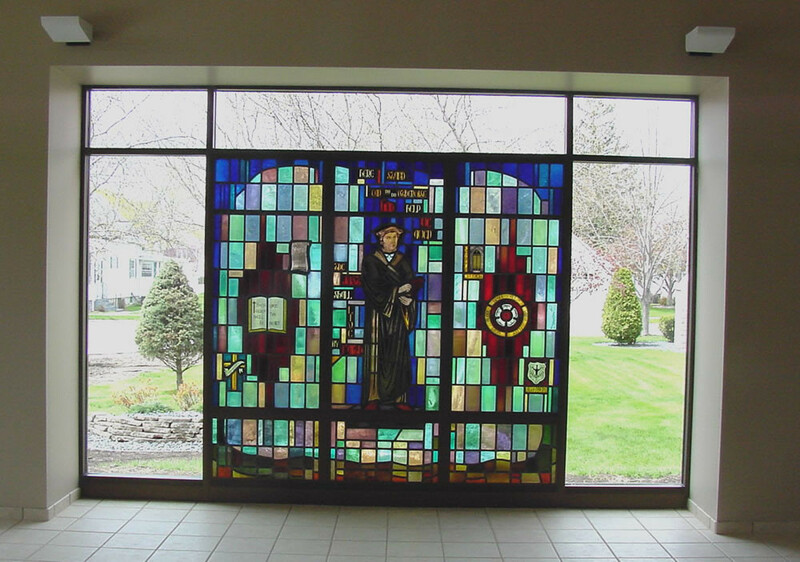 Relocated stained glass windows, clay roof tile and stone face blend the addition into the existing building. "Karkela took an outdated and oddly-shaped building, and transformed it into a highly functional and beautiful work environment. We had a tight timeline to get the project completed but Karkela pushed hard to get it done, and actually finished weeks ahead of schedule. The budget was very tight and I appreciated the fact that they respected this and helped me to cut costs while preserving the quality. When I was deciding on a contractor Karkela's name came up repeatedly and I can see why."